Happy New Year everyone! I hope that you all had a great night and a festive New Years day. We decided to keep things a little more low key this year so we invited friends over to our house for champagne and snacks, and then we headed to the neighborhood watering hole to ring in 2014. It was a fun time and we had a pretty big turn out! Since our neighborhood bar the Air Devils Inn (or ADI as we affectionately call it) is not <ahem> the highest caliber of places, I decided to make a fun but not too over the top New Years dress. Bring in Vogue 1337, this is a very 1980’s style dress with a blouson bodice and fitted skirt. I kind of threw this together last minute so the bodice is a bit more blousy than I intended, I would probably scale the top down a size if I decide to make this again. I made this in a forest green heavy jersey knit, it was a chilly night so I wanted it to be warm! I love the pleating on the shoulders, however the pattern called for clear elastic inserted in the seam of the sleeves. This boggled me as the elastic really didn’t seem to serve any purpose, there was no elastic sizing guide for the sleeves (only the waist) and it did not indicate any sort of tension or stretching the elastic while sewing it in. I would assume the elastic would be used to give a gathered effect, however this didn’t seem to be the case so I just omitted it. For the elastic in the waist I just used some elastic I had in my stash instead of clear plastic, it works just fine! Unfortunately my hem wouldn’t lay flat, it just refused to be ironed into submission. Oh well! It was certainly comfy dress and I did plenty of running around and dancing to the juke box in it. I would make it again, nothing like having easy knit dresses to throw on! In other news, check out my new sewing toys I got for Christmas from my In Laws! 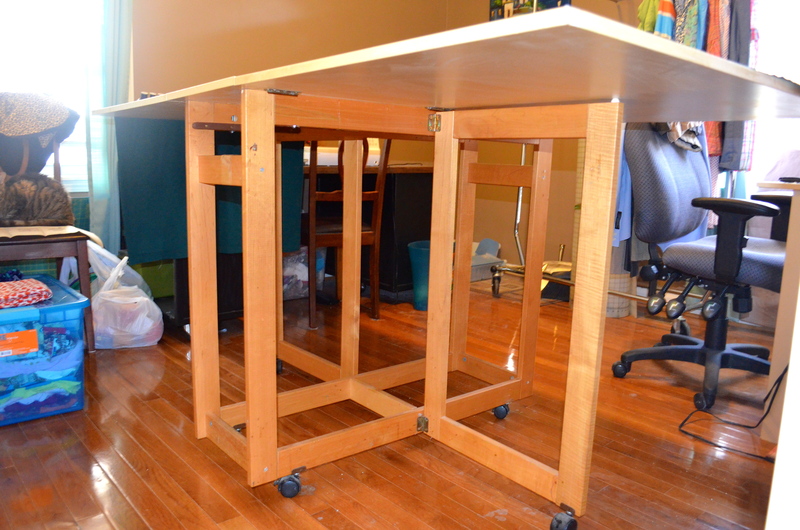 While yard sailing they found this amazing rolling fold out table that fits perfectly in my sewing room. 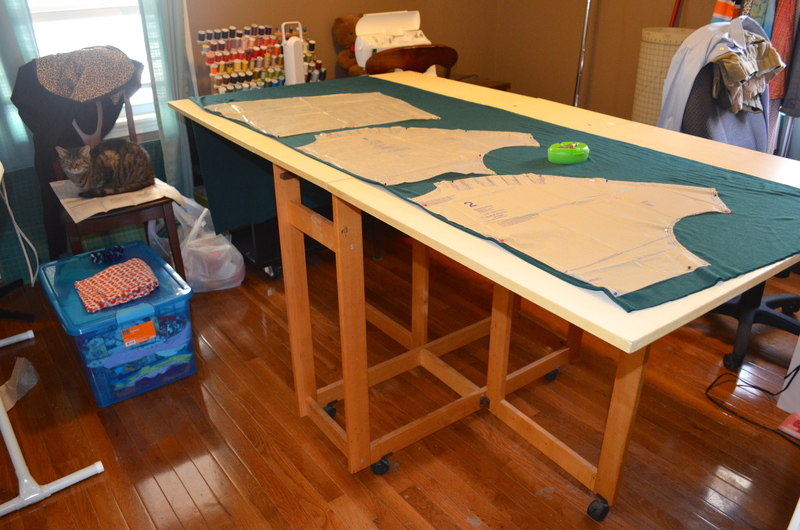 No more scooting around the kitchen floor and crawling around while I cut my fabric! 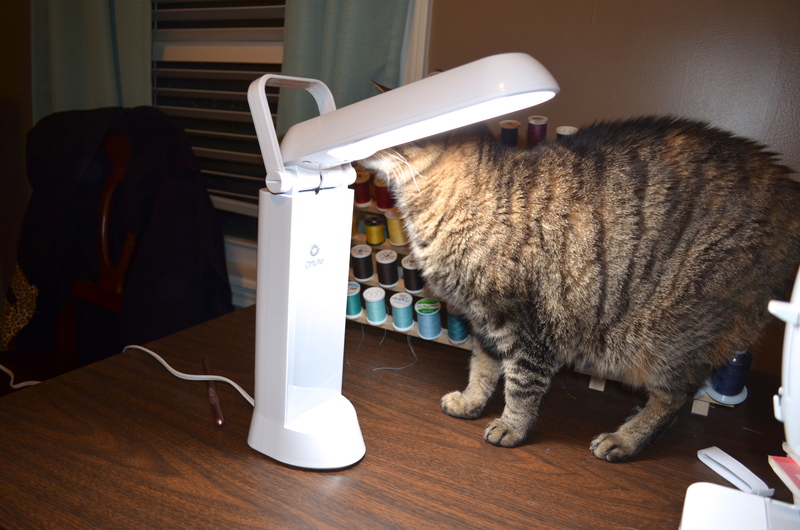 It has already made a world of difference in my sewing experience. In addition to the table they also found a huge cutting mat that fits exactly on my sewing table. Now I can actually use my rotary cutter! 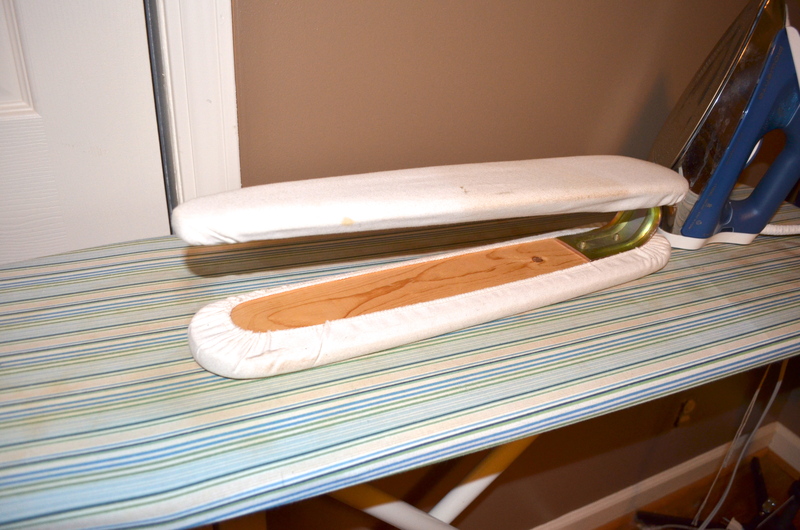 I think if I had used it on the hardwood kitchen floor Chris may have crucified me. I hope that the holiday season treated you all well, and I am looking forward to seeing all of your creations and inspiration for 2014! Cheers blogosphere!